Lacquer Lockdown: Hot Off The Stamping Press: New GogoOnly St. 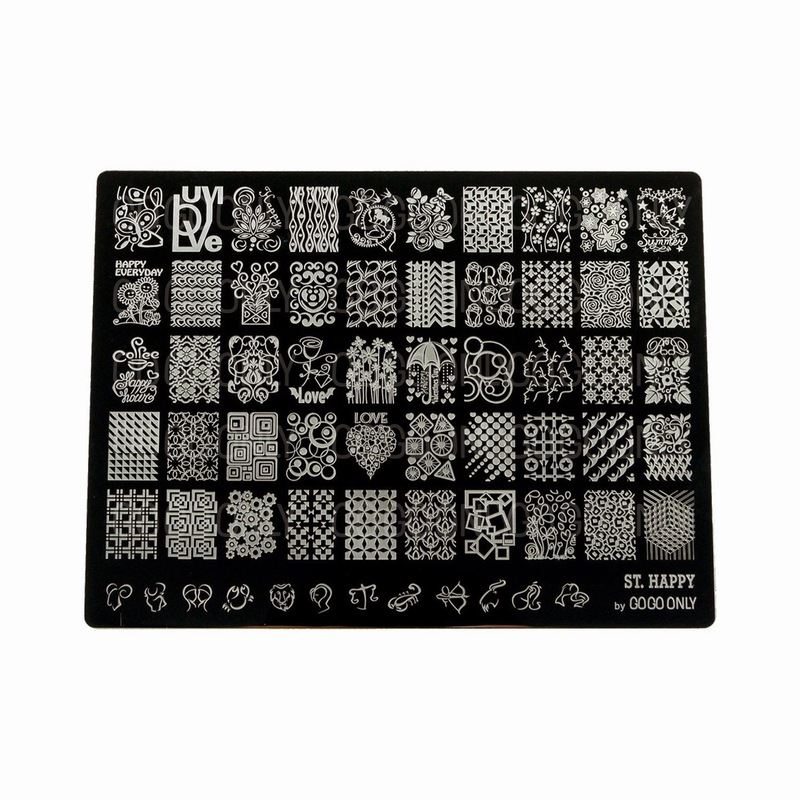 Happy Nail Art Stamping Plate! Hot Off The Stamping Press: New GogoOnly St. 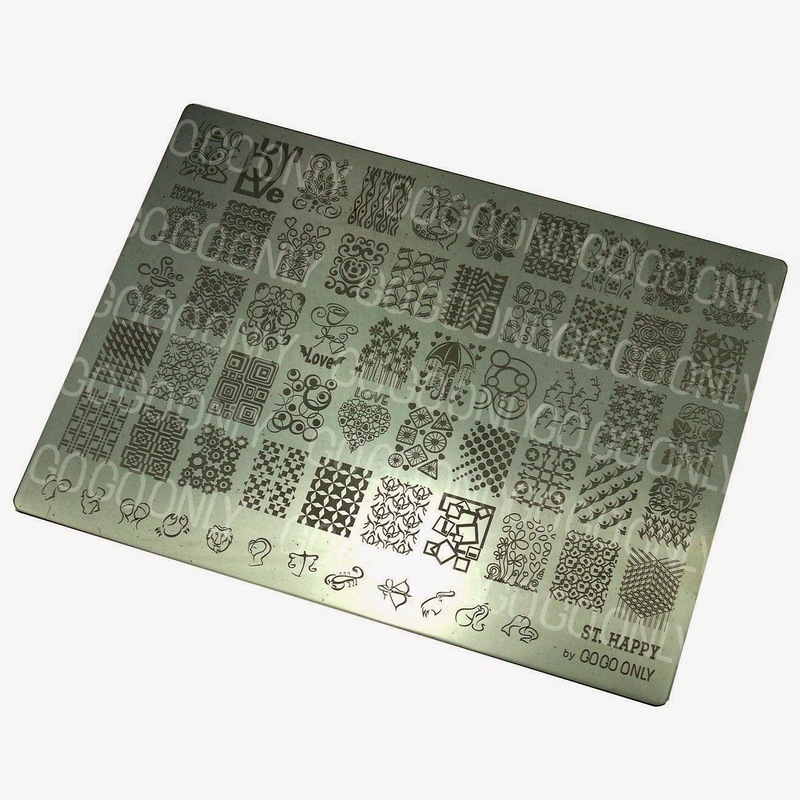 Happy Nail Art Stamping Plate! 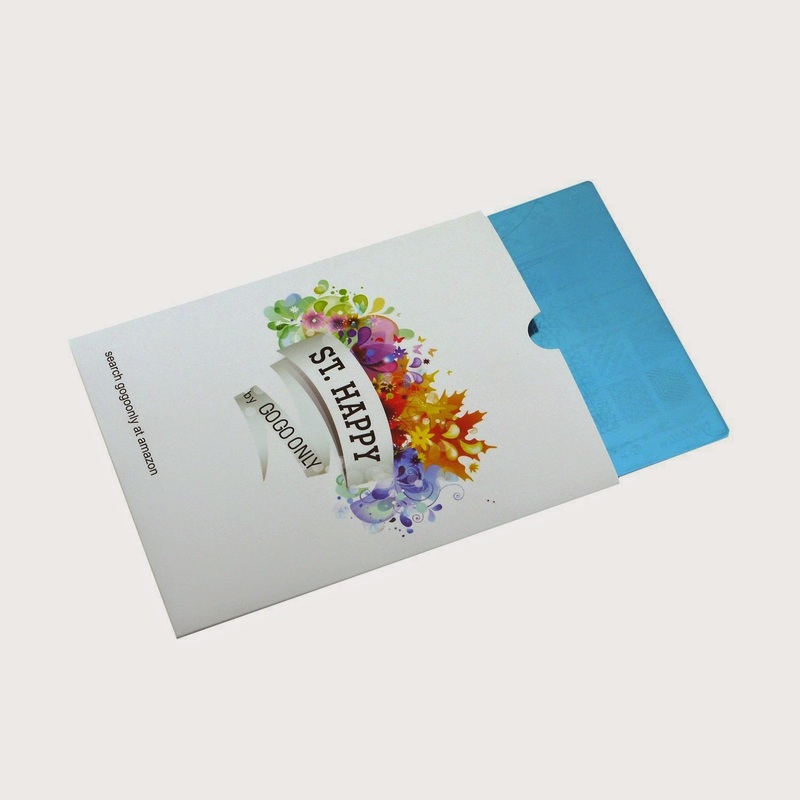 Each plate comes in this envelope with heavy duty backing. I know because I own the St. Merry plate as well. When I have a chance I'll be reviewing that here. Looking at this plate I'm thinking hmmmm. Not bad but not great. Lots of basic images and a few standout ones that make me want to pull the trigger. Namely that coffee image, the raining hearts and umbrella, the summer image with the bird, and the tulip and typography. What do you ladies think? I'm not super revved up about this one to be honest. I like it, but I don't LOVE it. As more and more plates release and my collection expands I want to spend more time getting wholly unique and innovative images that make me want to use my plates over and over again. Does that make sense? Still these plates are a great bargain at $12.99 USD and carrying over 60 images. Frankly they are a better investment and expense than some of the smaller set plates because of the pricepoint per image. You can purchase the GogoOnly St Happy plate here. I'll be wishlisting this one. Maybe next time I see a brand release another set of plates on Amazon I can add it to the cart and get some free super saver shipping. Lol eyes on the prize and happy hunting stamperistas! I'll see you next post. Anyway, I have had a look around online but can't seem to find much info, so I hope you don't mind me asking here, but do you have any idea where can I find some plates with decent "negative" stamping images? I had a look at Fab Ur Nails and oh my! They look fantastic but they're unfortunately out of stock, and their Australian stockists' store is currently closed (with no time frame in terms of reopening). So I figured, since you really are such a wealth of info, you might have some other suggestions? Hello dear! Thanks for all your kind words :) Its always my pleasure to encourage and inspire others to start stamping ;) When you ask about negative stamping images I presume you are speaking of those that have a lot of empty space within the patterns? I wish you had given some specific examples such as plate numbers of images in particular especially since for FUN there are 15 plates so its a bit tricky to know to which you are referring. If you are looking for plates that have similar feel to Rising Sun then the MoYou London Kaleidoscope and Pro collections might be good fits for you as well as some of the Lilyanna plates. I'd honestly have to think about it a bit more. Maybe the best way would be to think of the brands you like the best and then look over their plates to see if there are any that fall into that category for you. I wish I could be more helpful but hopefully that was a good start! Thank you again for all the help you provide, you've seriously helped me improve my stamping considerably.